AMBA Centre for Economic Empowerment of the Intellectually Challenged (CEEIC). It is a tough world for intellectually challenged children; and the problems are compounded with poverty. 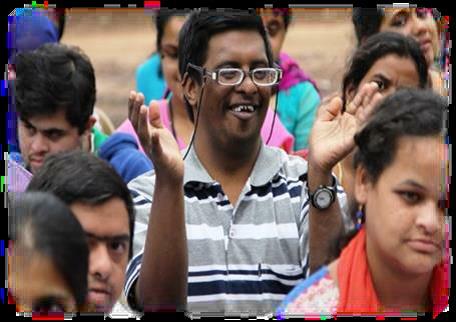 Mindtree Foundation, along with AMBA Centre for Economic Empowerment of the Intellectually Challenged (CEEIC), provides vocational skills to intellectually challenged, underprivileged youth over 16 years of age. Under this program, 52 youngsters from Abhilasha Vocational Center, Medhak, Mallikamba Institute for the Mentally Challenged, Warangal and Akkakshna Women Welfare Organization, Ranga Reddy, have been trained to gain confidence and perform error-free data-entry work.